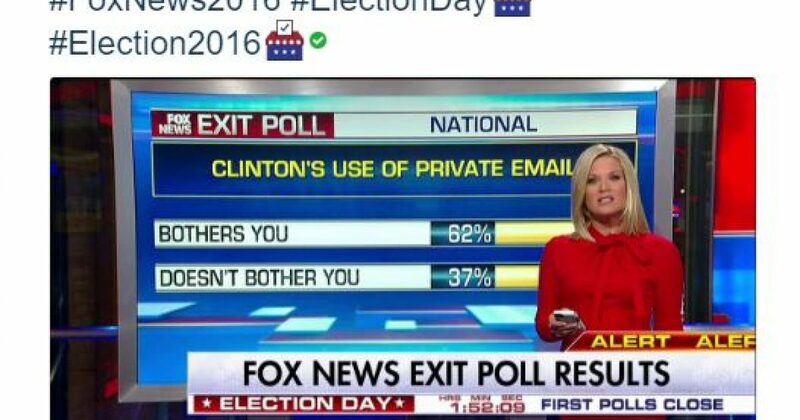 First exit polls come in, and it’s not good news for crooked Hillary Clinton. 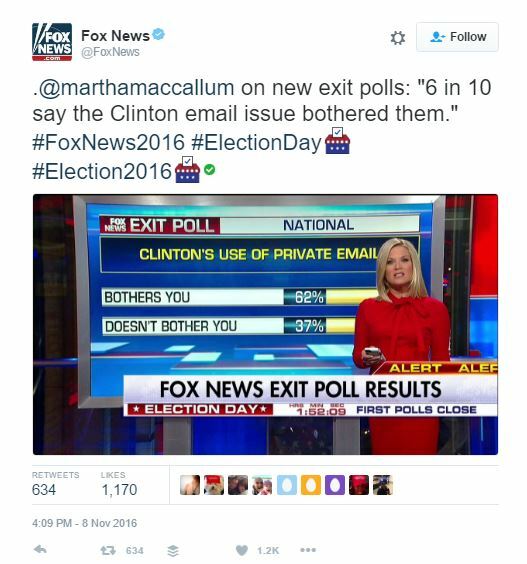 In the FOX News first exit polls on emails, 6 out of 10 have a problem with Clinton’s emails. In the first exit polls from FL, numbers suggest more bad news for Hillary Clinton. 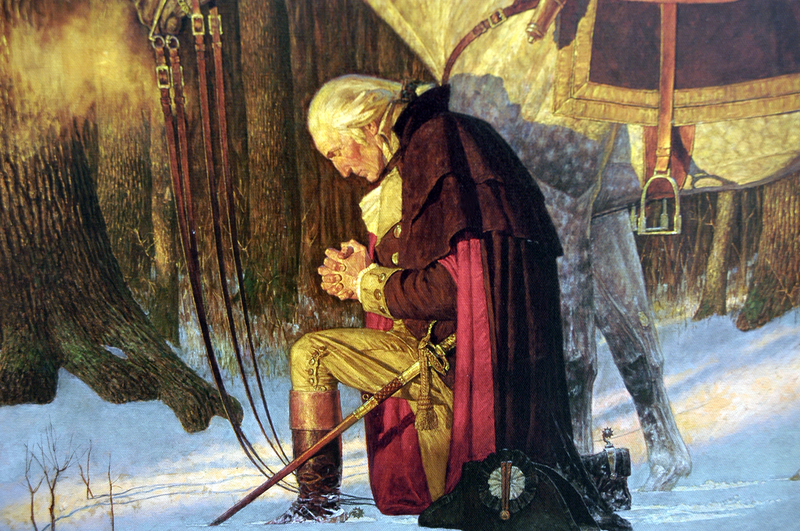 Needless to say we have a long night ahead, but I am confident that Hillary Clinton will continue having Hell Week! Stay tuned!